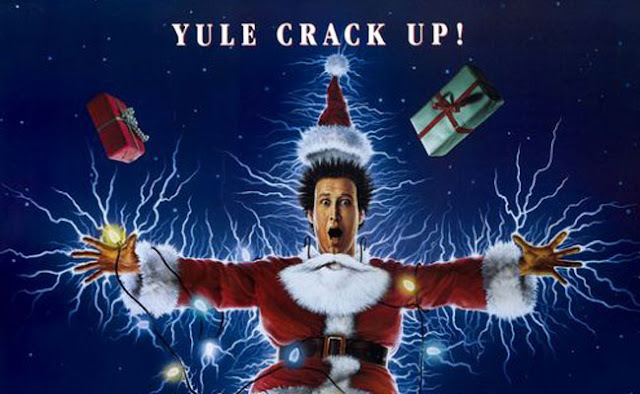 National Lampoon’s Christmas Vacation is the funniest Christmas movie of all time. On its own it’s still one of the funniest movies of all time not factoring in any holiday themed criteria. Similarly, Die Hard is the best Christmas action movie of all time and easily in the top five pure action movies of all time. 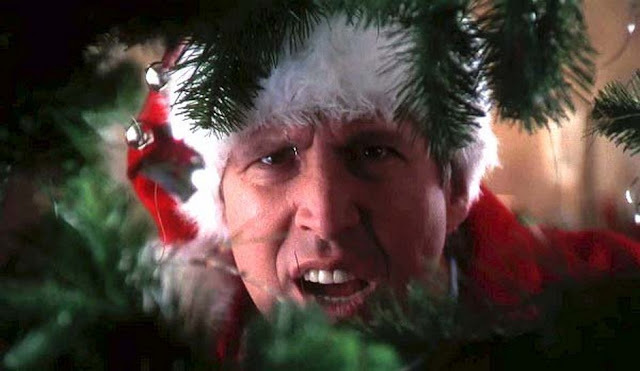 Christmas Vacation represents a rare confluence of top level talent yielding a nearly perfect production. First, consider the writer: John Hughes. Hughes happens to be one of my favorite writers ever and is responsible for some absolutely classic films. What films you ask? How do titles like Sixteen Candles, The Breakfast Club, Ferris Bueller’s Day Off, Planes, Trains & Automobiles, Uncle Buck, Home Alone, and Weird Science strike you? He wrote all of them. The man practically raised me (not to take anything away from my wonderful parents). So right off the bat, the most important part of any comedy (the script) is in some legendary hands. Now let’s take a look at the cast. Chevy Chase is a comedy legend. Reputation for assholery aside, the man is a craftsman. Beverly D’Angelo also reprises her role as the mom, and she is wonderful as usual. Audrey is played by a young Juliette Lewis in her first major role. She went on to become a great actor. Johnny Galecki as Rusty rounds out the core family in his first major role as well. So you have two established stars paired with two future stars just in the four top roles. But wait, we haven’t even started on the supporting cast yet. OMG. Randy Quaid is back as Cousin Eddie. Who has better played a bumbling, bumpkin idiot in cinematic history? Nobody. That’s who. That was just a classic role by an actor in top form. E.G. Marshall, Doris Roberts, John Randolph, and Diane Ladd playing Clark and Ellen’s parents are all fantastic, and their IMDb pages read like a list of the greatest TV shows and movies of all time. To get all four here is just lightening in a bottle. 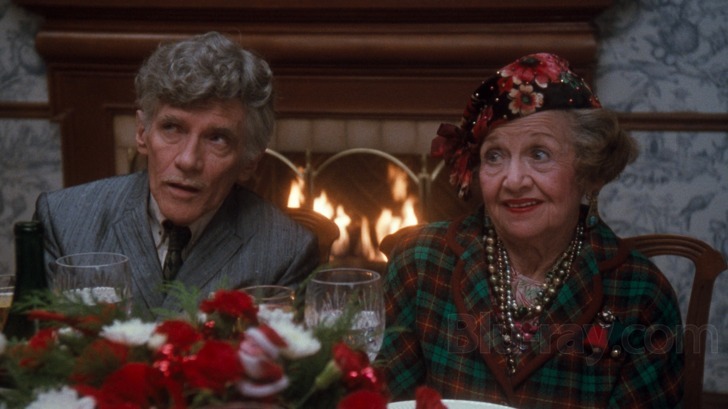 Then, holy crap, Aunt Bethany (Mae Questel) and Uncle Lewis (William Hickey) show up! They don’t even show up until the movie is in its third act, and they literally steal the show. Mae Questel may sound familiar because she voiced Olive Oyl in the original Popeye animated shorts and Betty Boop in those animated shorts! She was an icon decades before she made sure to tell Clark not to throw her down and ask if his house was on fire as they’re walking into the Griswold’s ultra illuminated home. Then…THEN, Elaine Benes (Julia Louis-Dreyfus playing snooty neighbor Margo) shows up and gets attacked by a rabid squirrel. Come ok folks! I literally don’t know how to improve upon this cast. So, expert level writing in place. Amazing cast in place. That leaves the story and the situational comedy. All poor Clark Griswold wants to do is get his Christmas bonus so that he can buy his family the perfect swimming pool and install the most amazing exterior illumination in the history of said concept. Then family descends upon his happy suburban Chicago home and hijinks ensue. I hope you’ve all seen it by now, but it gets pretty crazy. Some of my favorite parts include the squirrel Clark fails to remove from his “wild caught” Christmas tree that runs amuck through the house. Cousin Eddie emptying the shitter. Aunt Bethany wraps her cat in a box and brings it as a gift. Cousin Eddie wearing his black turtle neck dickie under his white sweater. The list goes on and on, and it is all pure gold. If you have somehow managed to get this far in life and not see this movie, that is now your prime directive. If you don’t think it’s hilarious, then you need to locate some joy and fast!